Q: How much will our translation cost? A: Pricing depends above all on the size and difficulty of the text, as well as the desired delivery date. The easiest way to find out is to send me the document. I will then be able to quickly give you a quote for the full project - from research to proofreading. Prices do not include VAT. A: I'm certainly not cheap. But a high-quality translation of your marketing material, for example, is worth every penny, especially when it can lead to hundreds of thousands in new sales. 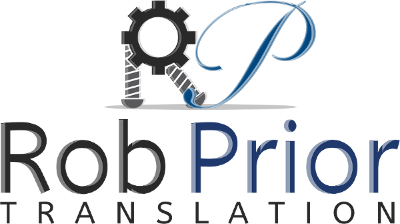 What's more, a well-crafted translation can actually save you money. Getting it right first time is always cheaper than the cost of correcting or even rewriting a poor translation. There are plenty of tempting low-cost solutions out there online, but the bitterness of poor quality remains long after the sweetness of low price is forgotten. Q: How long will our translation take? A: Again, this depends on the size and difficulty of the text. As an example, a 5,000 word instruction manual will take between 2-3 working days. Q: But we need the translation urgently! A: Sometimes the unexpected happens and you need to get a message out quickly to the people who matter to your business. Where reasonable, I am happy to help you in a tight spot. Any jobs that involve work on evenings, weekends or public holidays are subject to a surcharge of 25-50%. Q: What can we do to help ensure quality and timely delivery? A: Please send the document in an editable format (such as Word), preferably with a copy of the document in its finished layout (PDF) to aid with formatting issues. In addition, please provide the details of a contact person for questions. If you have any existing and reliable terminology glossaries, please send these too. The more information and resources you can give me about your text, the better the finished translation will be.